2013 might just turn out to be a stupendous year for Rohit Shetty. His next directorial venture Chennai Express produced by Gauri Khan under Red Chillies banner, has already gathered excitement from the audience. Starring Deepika Padukone and the King Shah Rukh Khan, the film is expected to rake up good revenue. Our sources inform us, that Rohit Shetty will have two other important films that may release this year. Both Singham 2 and Golmaal 4 are scheduled to go on floors later this year. With three magnanimous releases lined up, Rohit is going to be the most important director of 2013 in B-town. 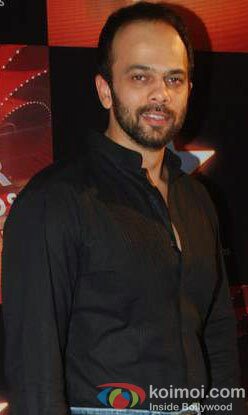 His 2011 film Singham got roaring rave reviews from critics for his smart sense of action sequences and fine direction. The Golmaal series have proved to be tried and tested formula at sure shot success, over and over again. Making millions laugh with its sensible comic timing, Golmaal has to be one of the best comedy films of recent times. Sheer laughter therapy at its best! Given the successes of its prequels, the films will easily become hits, exclaim Trade analysts. 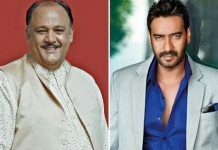 Three of Shetty’s previous films are a part of the 100 crore -club – Bol Bachchan, Golmaal 3 and Singham. And since both Singham and Golmaal 3 have earned 100 crore plus profit, one can easily place heavy expectations on both Singham 2 and Golmaal 4. Koimoi wishes Rohit Shetty our best wishes. We are eagerly awaiting both Singham 2 and Golmaal 4, because good entertainment always has a special place in Bollywood. It is fake news by koimoi. Even single (golmal or singham ) release cant be possible this year. Only chennai express will release this year. “To go on floors” means they’ll start shooting for the film! Any of Ajay devgan may realse…….